• Insure that the large nut on the front of the BFA is tight. 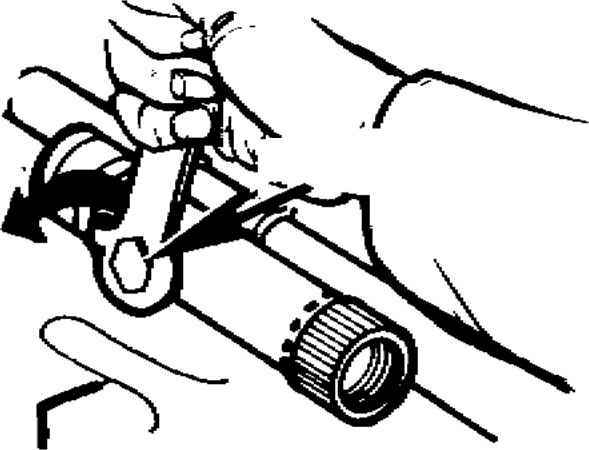 • Unscrew the orifice tube with a pair of large pliers. Fit it into the barrel until the clamp will barely start over the front sight. • With the BFA installed on the barrel, pinch the clamp tightly behind the wingnut with the fingers and rap the top front of the BFA above the large nut with a machinegun combination tool; the clamp will snap into place. • Tighten the wingnut. When the adjustment is correct, there will be no end movement of the BFA on the barrel. 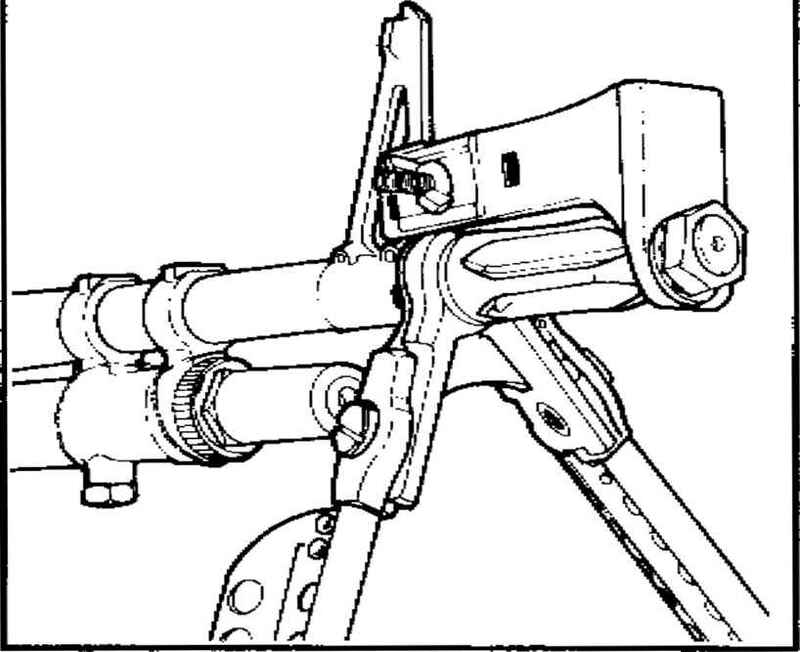 A buildup of carbon inside the gun causes friction between the moving parts. Carbon deposits build rapidly when blanks are fired. When these deposits become excessive, stoppages occur. Keeping the gun clean (particularly the gas system and chamber) during blank firing is very important. # Inspect the gun for damaged parts, excessive wear, cleanliness, and proper lubrication prior to firing. # Apply proper immediate action when stoppages occur. • Clean the gas system after firing 500 rounds. • Clean and lubricate the entire gun after 1T0()0 rounds. 2. MINIMUM SAFE DISTANCE FOR PERSONNEL IN FRONT OF A BFA-FITTED GUN WHEN FIRING BLANK AMMUNITION IS 25 METERS.